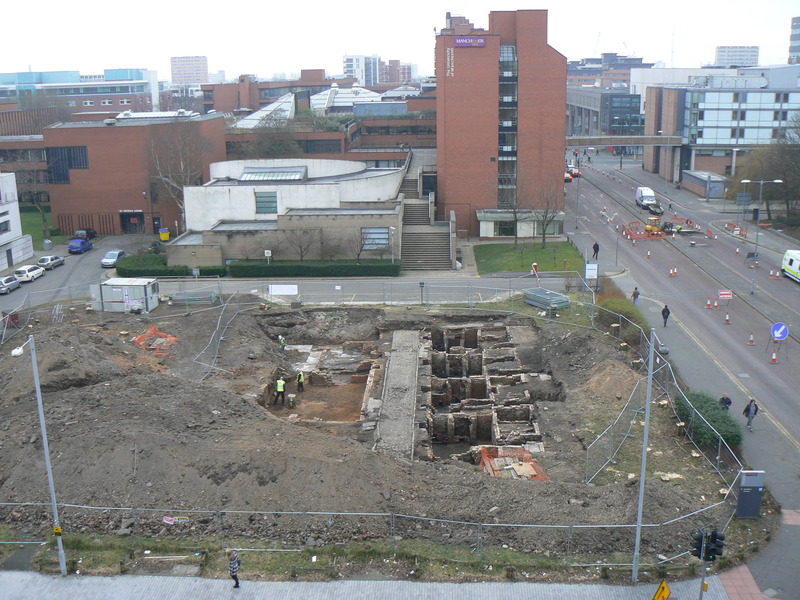 On 1 March between 10am and 3pm there is an opportunity to see an archaeological dig site of preserved workers’ houses of c 1830 at the building of the new Graphene Institute on Booth Street East. The dig has excavated the remains of five mid-nineteenth-century cellars, together with the basement of 26 Clifford Street, which was used variously as the Albert Club (frequented by Friedrich Engels), a Turkish bath, and a hospital for women and children, and also the remains of the former Lawson Street. If you’d like to see this site, make your way to Lawson Street where you’ll be met by a member of Oxford Archaeology North – please wear stout shoes or boots.